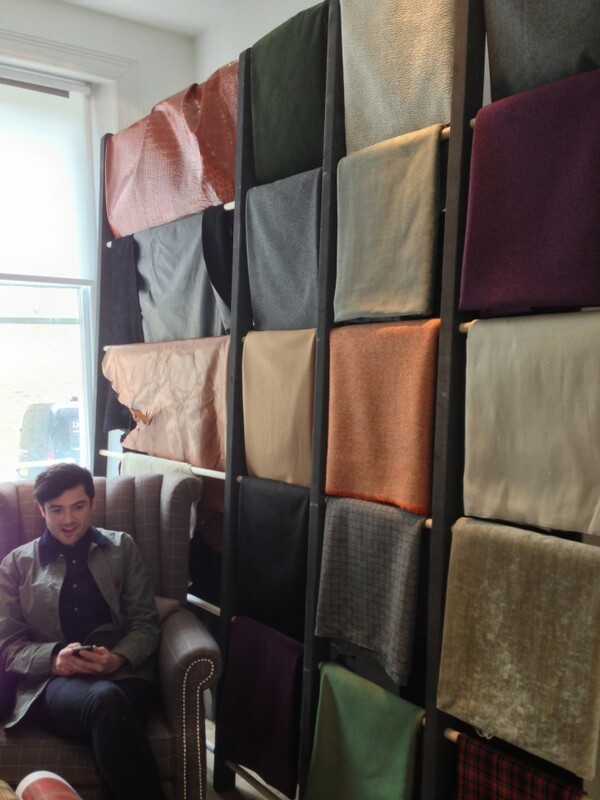 ﻿ Greengate pop-up shop | not tom. Earlier this year, we were approached by Appear Here, a company that source spaces for pop-up events around the UK. 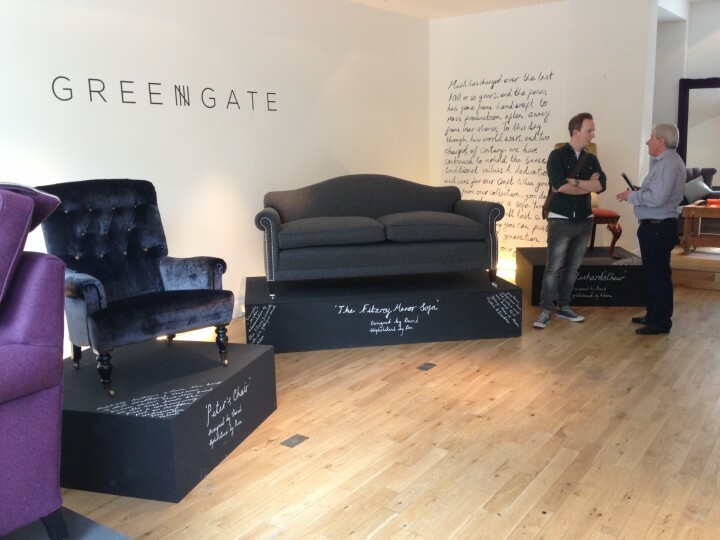 They wanted us to design a display space for bespoke upholsterers Greengate – so far so good. The catch? They needed it done in 3 days, for an episode of the BBC’s Million Dollar Intern, a programme that aims to give a boost to businesses that need it. 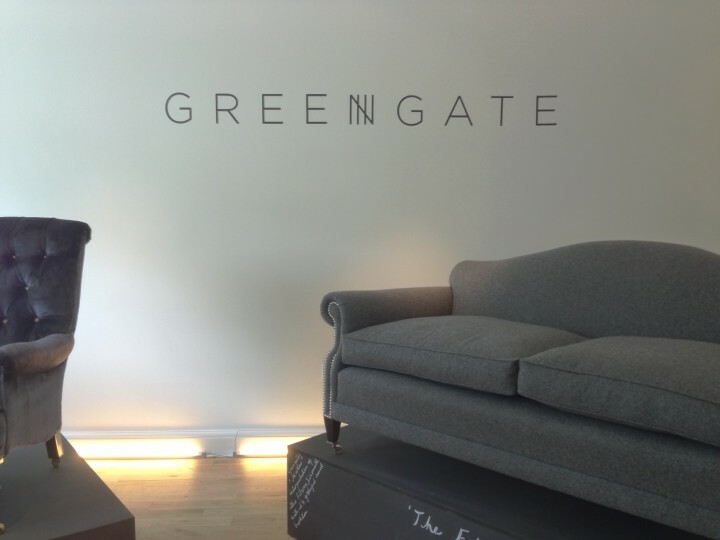 We accepted the challenge, and delivered a pared-back shop fit that allowed Greengate’s quality materials and decades-old processes to spring to the fore. The focus was on the company’s history, and the integrity of their working methods. 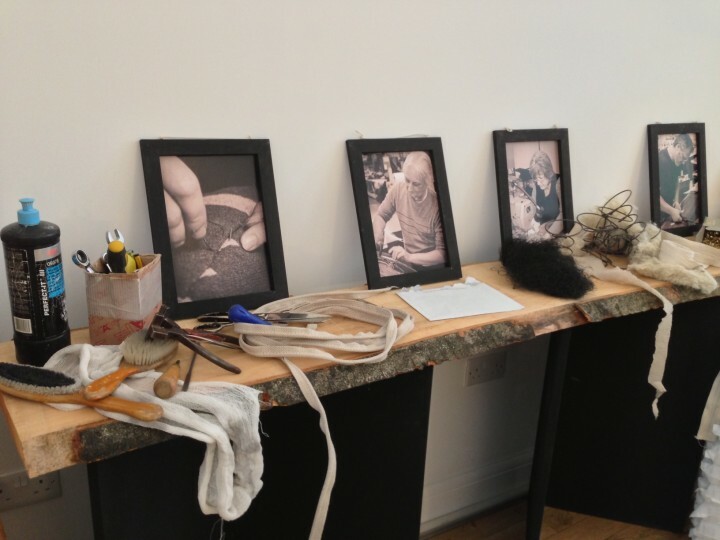 Both were highlighted by raw tools and materials on display, and finished Greengate pieces elevated on simple plinths. 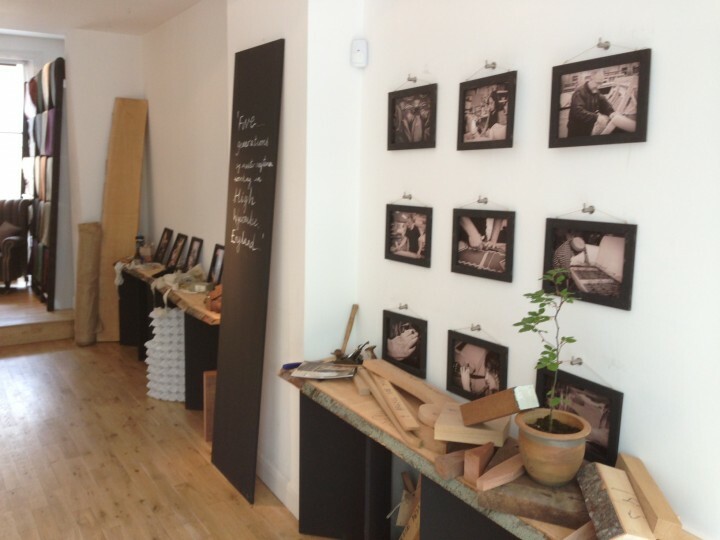 The pop-up went down a storm, successfully raising the profile of this family business when the programme was broadcast.